When I heard that Blizzard were introducing Garrisons to WoW I was initially excited, the concept sounded great and the idea of character housing had been something players had been after for a long time. So, we now had this home base all of our very own to go back to, with everything you could need under one roof, banking, professions, quests, all in the comfort of your own Garrison. But something was terribly wrong, the Garrison got tedious very, very quickly. Apart from your Garrison making you feel extremely isolated from everyone else in the game, one of my particular bugbears is that by incorporating the professions into the Garrison it felt like you just had all these boring tasks to be completed before moving on to something more interesting – log in, you’re in your Garrison, go to the mission table and send out followers, time to go to the mine, time to go to the herb garden, time to go and collect timber for your mill and so on. By doing this it took something away from having to go out into the world and actually look for things which is part of the enjoyment of the game, it somewhat bypassed exploration for the fun of it and running into random events and other players on route. I honestly miss logging into a tavern somewhere in Azeroth and being surrounded by other players, at the moment I log in, I’m in my Garrison and it’s time to go to the mine, sigh! Now, how about the Garrison and Shipyard mission tables? Each mission takes between 30 minutes and 12 hours to complete on average, so you basically log in and then depending on the level of your followers you assign them to missions aiming to get an 100% chance of success – there is very little strategy here and once you have the hang of it (which takes no time at all) it’s just another boring task to complete at your Garrison in the hope of getting Garrison supplies, gold, or other items. You do not interact with your followers, you just assign them to tasks, wait till the time is up and collect your loot, think microwave popcorn, ding, take out popcorn put in next batch. And, that is not even mentioning the Shipyard’s policy on completely destroying ships that you’ve taken the time to level up should you not complete a mission, therefore, for every mission it is just better to make sure it has a 100% chance of success otherwise be prepared to kiss your Destroyer goodbye. I guess it’s a bit of disappoint that it hasn’t worked out as I initially thought or as Blizzard had planned, but it was a good idea and I accept that some good things did come out of it, it just didn’t work in the game for me and a lot of other players, particularly as end-game content. At this point in time, the idea of levelling a new character and then having to level another Garrison for each new character makes me cry a little inside. I’m glad that the new expansion, Legion, is moving away from the Garrison and getting us all back out into the world and interacting with other players. I have no doubt that Blizzard will build upon everything they have learned from the Garrisons and the feedback received from players and I’m optimistic that Legion’s Class Hall will be a much better fit for the game dynamics as a whole. From what we know, the Class Hall is going to be similar in some ways to Garrisons, building on its good points, and as their name suggests they will be unique to each class. At the Class Hall you will be able to get class-specific quests and missions and customise artifacts. However, the main difference is that they will also be available to other members of your class which takes away that complete sense of isolation and inactivity experienced within your current Garrison. We also know that instead of just picking up followers to send on yet another mission via your Garrison mission table, we’ll have select champions of our class who will assist us in our own quests. 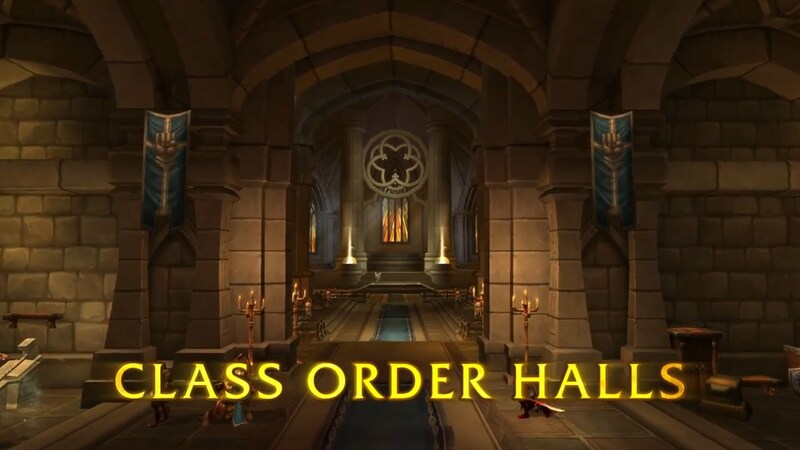 The information available on the Class Halls are not set in stone but it has definite potential and to be honest, I’m not sure it can be worse that the current Garrison set-up. So, what will I miss from my Garrison? Well, the second Hearthstone was pretty handy. As you know, there has been drama, there has been uproar, and after a lot of spirited discussion Blizzard announced the reversion of the original plan to restrict flying in Draenor. Although they still firmly believe that keeping your feet on the ground is a key part of discovery in WoW, they also understood that for many it was an important aspect of the game and something that wouldn’t necessarily compromise their objectives for exploration. So, they came up with a compromise. Unlike other flying achievements which just rely on hitting a level requirement and buying the flying ability for a sum of gold, players would need to complete the achievement ‘Draenor pathfinder’ released in Patch 6.2 which would award the ability of flight as well as a chromatic rylak mount, the Soaring Skyterror. Once achieved and with Patch 6.2.2 flying in Draenor would become possible for all your characters at level 90 or above. Tanaan Diplomat: Hit Revered with the three new Tanaan Jungle factions – Order of the Awakened, The Saberstalkers, and Hand of the Prophet (Alliance)/Vol’jin’s Headhunters (Horde). 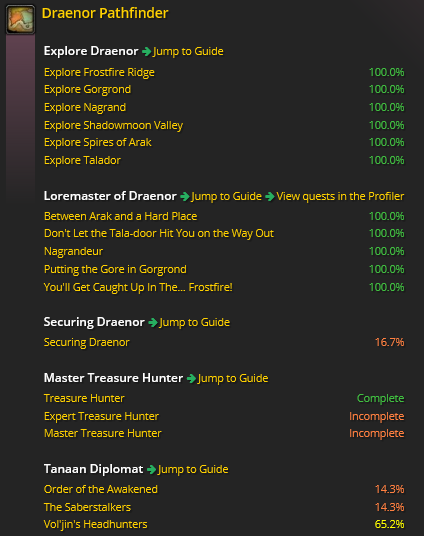 For a complete look at every step of the Draenor Pathfinder Achievement, Wowhead have produced the Draenor Pathfinder guide which will provide you with everything you need to know in order to make getting the achievement as easy as possible. 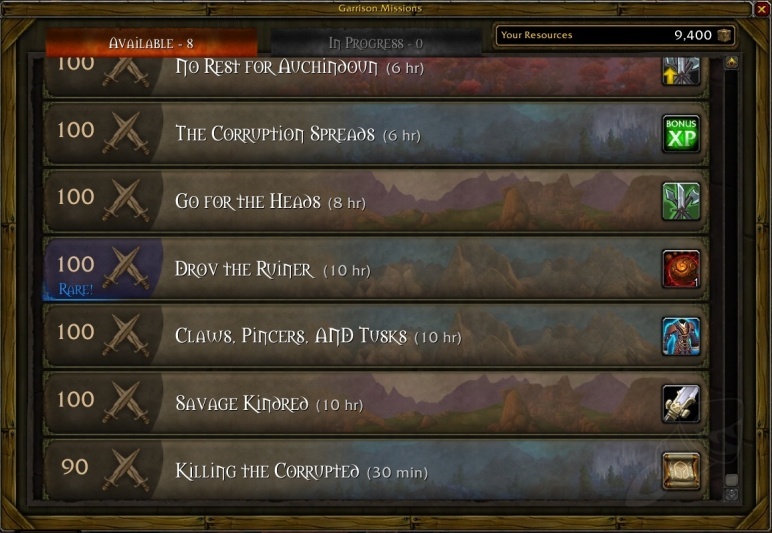 Track your objectives in-game by opening the achievement window, searching for the Draenor Pathfinder achievement and selecting the ‘track’ option which will add the objectives on-screen underneath your quest list. Track your objectives using the Wowhead Flying Tool, this can be found at http://www.wowhead.com/flying. The good news is that the achievement is account-wide for the most part, meaning that you can complete the objectives towards this achievement on different characters. The exception to this is Securing Draenor, for this you must do all of the quests on one character only. Logging in this past weekend it was great to see everyone hard at it, working through those questlines for the achievement. Good luck, I look forward to seeing you in the skies of Draenor very soon. These are exciting times for all World of Warcraft fans, with the announcement of the latest World of Warcraft expansion, Legion. The expansion was just announced at Gamescom 2015 and since then Blizzard has released a raft of information which includes the key features and necessary lore to enable all fans can get up to speed before jumping into the action. 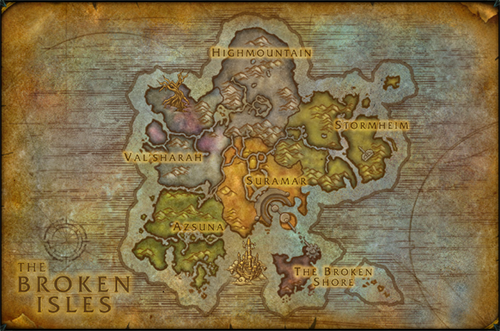 Legion will be set on The Broken Isles, which is a new and expansive continent comprising several small islands in the heart of Azeroth: The Broken Shore, Suramar, Stormhein, Highmountian, Val’sharan, and Azsuna. In Warcraft lore, before the Great Sundering, the region that would become the Broken Isles was a part of Ancient Kalimdor . It was here that the ancient forest of Val’sharah, home of Cenarius, was located, as well as the city of Suramar, hometown of Tyrande Whisperwind, Malfurion Stormrage, and Illidan Stormrage. In this new expansion, the mutual enemy of the Horde and the Alliance, the Burning Legion, has returned. In order to combat the armies of the Legion invading Azeroth, both Alliance and Horde must secure mighty artifacts and join forces with a new hero class, the Demon Hunter – an elven outcast shunned for daring to wield the terrible powers of the Legion. The objective is to find the Pillars of Creation which are the secret to Azeroth’s salvation. You can sign up now to opt in for Beta testing later this year. All you have to do is log in to your Battle.net account, go to Beta Profile Settings and check the Warcraft option, making sure you click Update Preferences to save your choice. You will then be eligible to be randomly selected for a Legion beta invitation once the testing process begins. I hope you are looking forward to seeing what Legion has to offer as much as I am. For more information on the latest expansion and more details about the new Demon Hunter class, new artifacts and expansion lore you can visit Blizzards dedicated Legion site at www.battle.net/wow/en/legion. First I wanted to say sorry I haven’t posted more, with life, school, work, Destiny, Shadows of Mordor, Forza Horizon 2, and Super Smash Bros. for the 3DS has taken all of my free time. I will however, try to take the time more often to post, and starting with that here are a couple of videos I put together to show some of the goofy things we have been up to in the world of Destiny. My thoughts on Destiny are split, the story is a incoherent mess, the loot system is all based on chance, the voice acting is hit or miss (mostly misses); but the game play keeps me coming back almost everyday. Enjoy the videos and will be back shortly with another post. 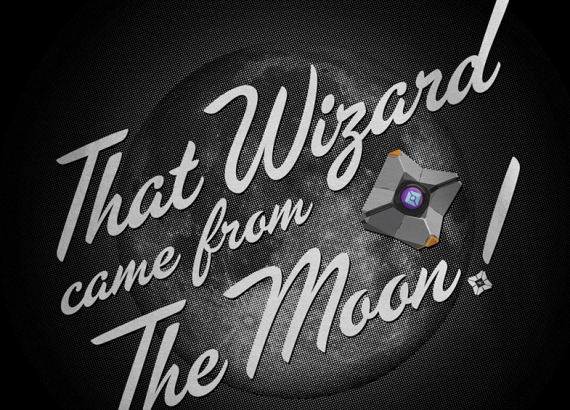 The servers are up, the game is waiting in store rooms around the country in anticipation for the midnight release, and the forums (Bungie.net and others) are filling with excitement. Destiny launches at midnight (though some territories already have it due to it being the 9th already, curse you Aussies and Kiwi) and the hype machine has hit maximum overload. This hybrid MMO/FPS/RPG/Kitchen sink, will be the first non-Halo title to come from Bungie since 2001 title Oni. 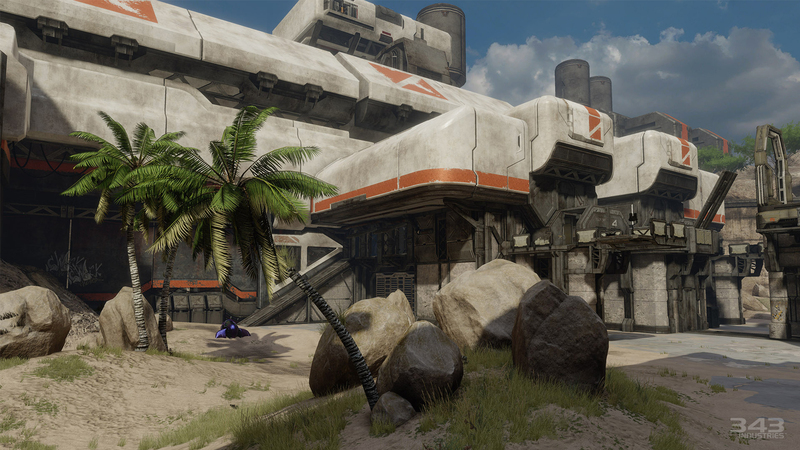 Bungie finished off their side of the Halo franchise with Halo: Reach (released in 2010), passing the Halo torch to 343 Industries. 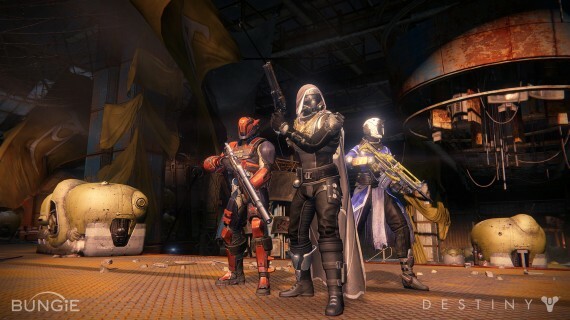 Since the departure of Halo, Bungie has been focused with delivering a new IP. I, personally, have not been this hyped for a game since Halo 3 (coincidentally another Bungie title). I played the post E3 Alpha, and then in late July, played the Beta on three different platforms (PS4, PS3, Xbox One), and even though much of the content between those trials was the same, I could not be more hyped for this game. If you have not yet caught the Destiny bug, then I have several pieces of media, that will try its hardest to entice you. First up is three tracks from the beta, that I am more than certain are in the final game. Just a note an official soundtrack has not been released yet, but I am hoping that will change very shortly, since the soundtrack is easily becoming my favorite of the year. 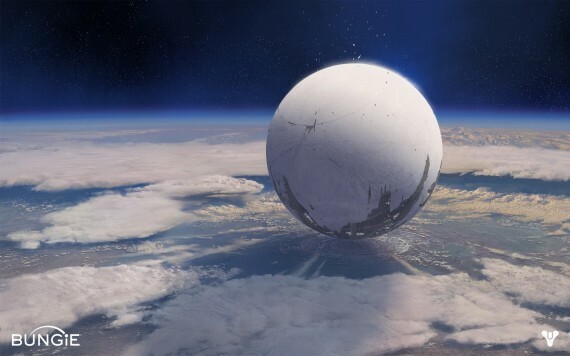 The soundtrack was composed by Bungie’s resident craftsmen, Martin O’Donnel (who unfortunately is no longer with Bungie) Michael Salvatori, and special guest Sir Paul McCartney. The soundtrack is robust, dynamic, and full of contrast. Taking the tribal drums, epic choruses, rock, and electronic elements from Halo; they have crafted something that feels fresh yet familiar. Below are three of my favorite tracks from the beta, I had a list of them to choose from, but these three stand above the crowd. Enjoy! Last, but not least, are two trailers. The first is the live action trailer that was directed by the helm of Tron Legacy, Joseph Kosinski. The trailer is all fun and fluff, trying to get the general public interested and it does a fair job. The second trailer is the Gameplay Launch trailer and does a much better job of hyping the game. Enjoy! 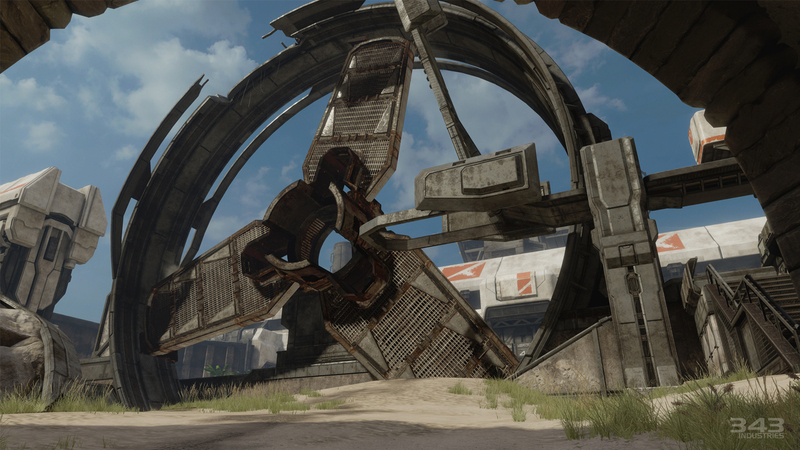 For anyone that played the Alpha this is for you….. I can’t wait to see everyone starside! $100 + nets you – “OFFICIAL SPONSOR STATUS – You or your organization listed as an OFFICIAL SPONSOR on http://ocremix.org, all our mailouts, press releases, etc. ASK US ANYTHING – Prioritized Q&A responses, including discussion of any topics you’re interested on OCR Talkback! I started with something simple and affordable, I donate $6 every month, and I am more than happy to give more in the future if my circumstances change. It was incredibly easy to sign up with Patreon and have them take the monthly $6. I just received my first email yesterday with my first month of being a patron, and it was filled with several previews of upcoming remixes that have yet to be posted to OverClocked Remix, and my free album code. The free albums are chosen by OverClocked Records, since the artist they promote and sign are invited to label, I have no qualms with the selection. I have been following OverClocked Remix since the early 2000’s and have amassed a vast library of their remixes and albums, and I am very happy to give back. As a promoter of the arts, and a strong promoter of the artistic merit in video games, I am very happy to be a sponsor of such a creative community that is full of talent. 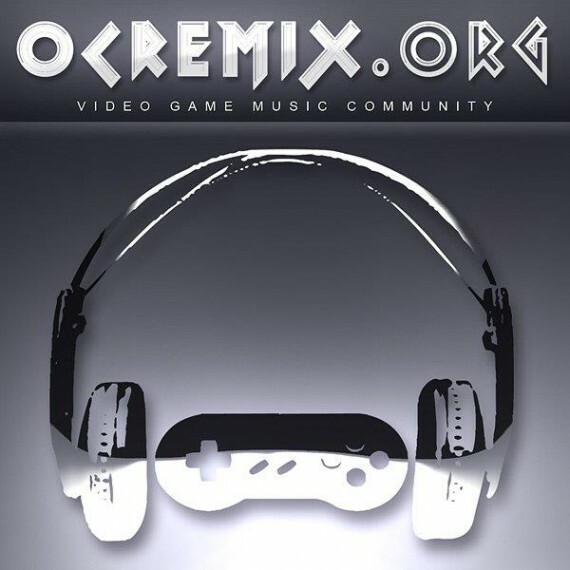 If you would like to donate to OverClocked Remix and help promote video game music, just click this link to Patreon. If you are still unsure if you want to donate, here are a few of my recent favorites from OverClocked Remix. I have an addiction to the electronic dance mixes that stem from the site, but there is remixes featuring vastly different styles and genres. Enjoy my most recent picks! Early this morning, here in the States that is, Microsoft held their press event at Gamescom in Cologne, Germany. There were plenty of games on display during the press event but one title stood out among the crowd and it may have been for different reasons. 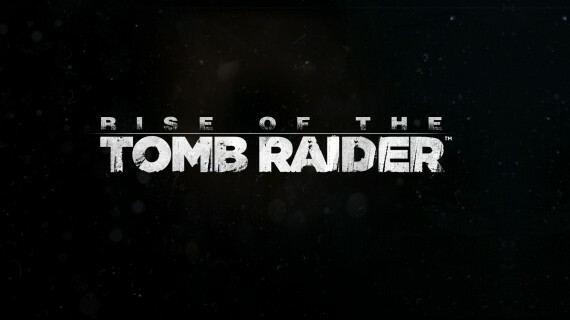 Rise of the Tomb Raider, the sequel to the 2013 reboot of the franchise, is coming exclusively to the Xbox One in fall of 2015. This announcement was huge. The game sold well on the PC, Xbox 360, and PlayStation 3. The Definitive Edition came to the PlayStation 4 and Xbox One this year and netted more sales for the reboot. This announcement was netted with positive feedback and plenty of negative feedback. Crystal Dynamics, the studio behind Tomb Raider, posted a response on the their Tumblr page . The Response is typical PR, but is also cryptic. This is a quote taken from that Tumblr response. What I see is possibly the same thing that happened with Bayonetta. Tomb Raider sold well, but never met the lofty sales expectations Square Enix set for the game until the Definitive Editions were released. Could have this been a move by Microsoft to secure a Uncharted like exclusive? Could it have been a way to guarantee a sequel to a game, that rightfully deserves one? 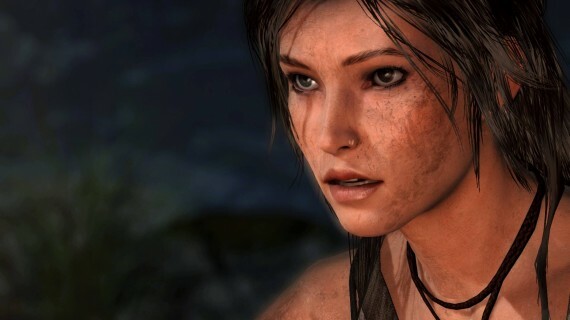 There are more questions than answers with this announcement; there is one thing for sure, Rise of the Tomb Raider will be out in 2015 on Xbox One. 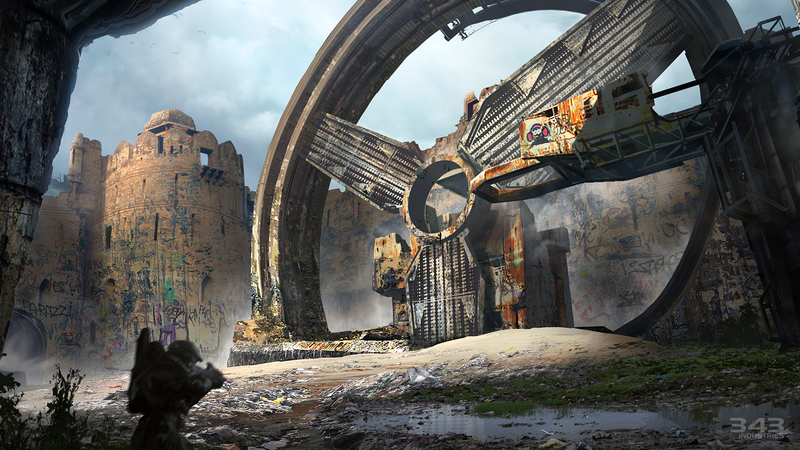 This fall we will see the release of Halo: The Master Chief Collection. In that collection comes the highly anticipated Halo 2 Anniversary, a visually updated remaster similar to what we received with the Halo: Combat Evolved Anniversary edition released 3 years ago. 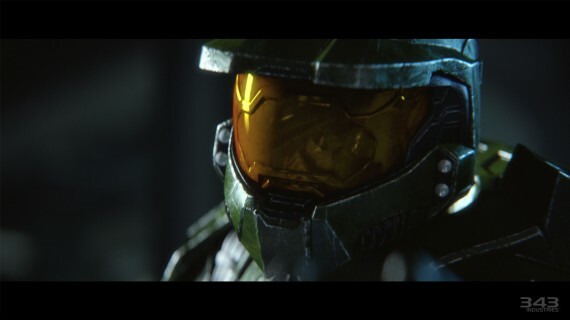 343 Industries is taking the remaster a bit further this time with the help of Blur Studios, all of the in-game cutscenes are being pre-rendered and reanimated; they look absolutely stunning. 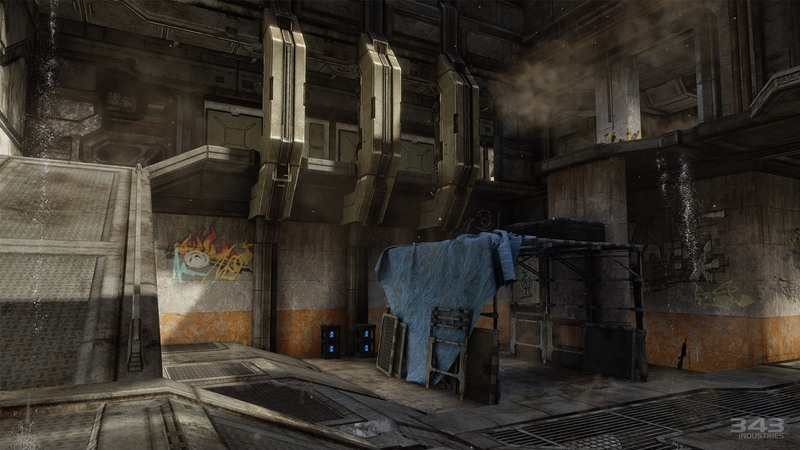 If you are familiar with the Halo series, you will know Blur’s work with the franchise. They provided the “Scanned” trailer for Halo 4 and all of the pre-rendered cutscenes for Halo Wars. They have also created the pre-rendered cinematics for the Batman Arkham franchise, Injustice, Star Wars: The Old Republic, and War for Cybertron. They have a have an incredible resume, and every time I watch the video below, my heart hurts because I have to wait till November to get my hands on this. At the end of the trailer is Johnson’s speech to the scared marines accompanying the Chief, now on each difficulty level he spouted off something different, making it a fun easter egg. I hope they have taken that into an account when remastering these cutscenes. Enjoy the preview! 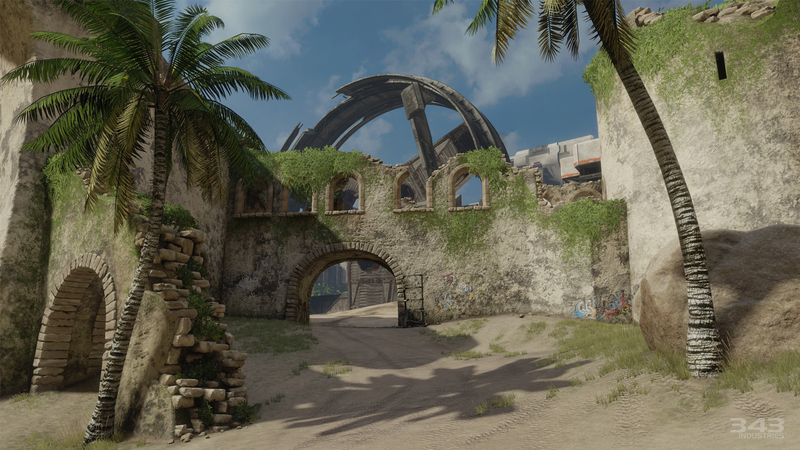 Microsoft and 343 Industries have also sent out a heap of screens showing off the remastered multiplayer map Zanzibar. 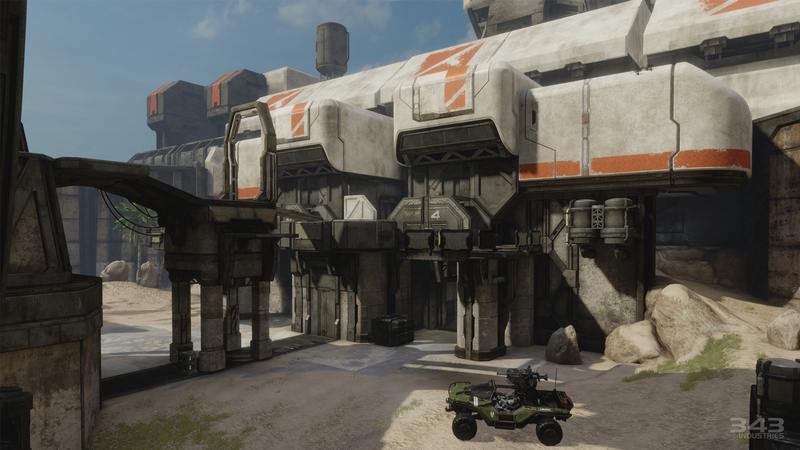 One of best maps to come out of Halo 2 (and we were lucky to gets its return in Halo 3) we are getting a retooled version as one of the six maps that are getting this treatment. 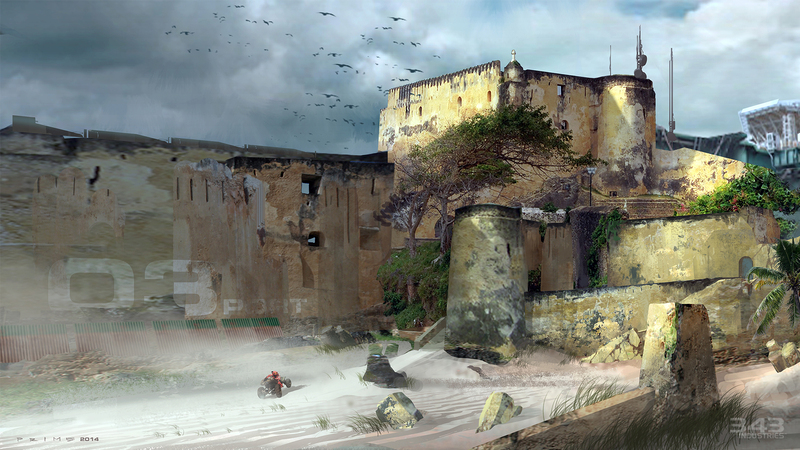 Enjoy your return to Zanzibar in the screens below. As the eighth generation of consoles are still relatively new, new games are hard to come by, and development can be delayed while learning the ropes for these consoles. As games that are next gen specific like Batman: Arkham Knight are seeing delays, we are seeing a return of previous gen games that pushed the older hardware to their breaking limits. This past January we saw the re-release of Tomb Raider in the Definitive Edition for PlayStation 4 and Xbox One. At the end of this month we will see the re-release of The Last of Us in the Remastered Edition for the PS4, and at some point this year Grand Theft Auto 5 will jump to the new hardware as well. While some may scream that this is simply a money grab from companies, I see this as an opportunity for people to play gems that could have taken visual, performance, or even gameplay hits from the aging seventh gen hardware. I purchased Tomb Raider: Definitive Edition for the PS4 recently and I am surprised over how good the game looks and run on the fresh hardware. I still have my original 360 copy and that was by no means an ugly game, but their is a stark visual and performance contrast. This maybe the continuing trend of HD releases we received during the last gen, which I was well on board with. Playing the game the past couple of days has also given me a new respect for Jason Graves incredible score. Graves is also known for scoring the Dead Space franchise, Murdered: Soul Suspect, and Alpha Protocol. Tomb Raider’s soundtrack may have been something I missed in the past ( with the amount of games I play and soundtracks I listen to, something just get lost), but I am correcting that today with a look at its fantastic score. SOS Tower Final In-game (unreleased) – Jason Graves – This track was not on the official soundtrack, but thanks to SoundCloud and Graves, we get to listen to what is one of the more happier moments in the game. The part of the game where this piece takes place is a huge step for Lara. Still shaky about her surroundings, she is less than confident to climb the dilapidated radio tower. She does, and proves to herself that she can do this, she can become the character we know. The sight from atop the tower is beautiful, and this piece captures that wondering beauty. A Survivor is Born – Jason Graves – The main theme from Tomb Raider, is sweeping, beautiful piece of production. Lara’s theme that starts around the (1:25) mark is epic, encasing all that Lara has been through on Yamatai and becoming the strong protagonist she is meant to be. At the (2:02) mark, the Lara theme is played again but by a solo piano. I love how in the piece there is the same central theme, the same notes even, played three different ways, at different tempos; but yet it all fits together so perfectly. I hope you Enjoy!